Due to the type of work I do, I sit a lot. Some days, a whole lot. I’m also a sloucher. I didn’t realize just how bad my posture has become, but years of slouching has taken its toll. 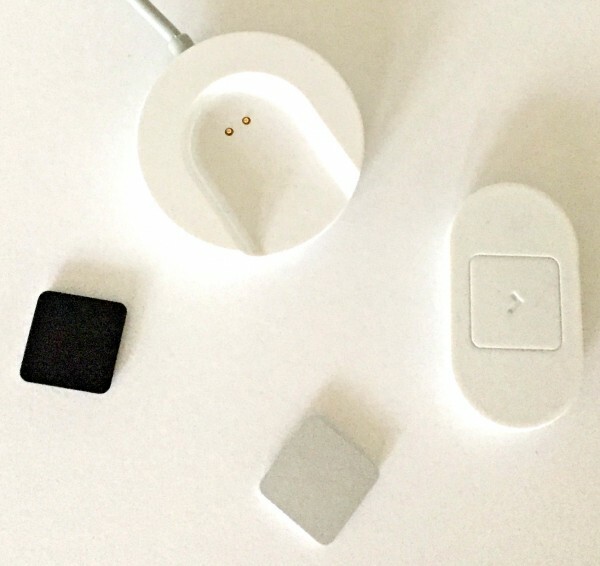 I was excited to receive the Lumo Lift, a posture tracking device, in exchange for my honest opinion. If you spend a lot of time at a computer, chances are you’ve been slouching, too. It’s even worse for me because I use my MacBook Air and sit anywhere I want, which means I’m not always in a chair that promotes sitting with proper alignment. I slouch. Try standing or sitting straight, with your shoulders pulled back. Now, try it slouching. Notice something? Seriously, just correcting your posture makes you feel more confident doesn’t it? 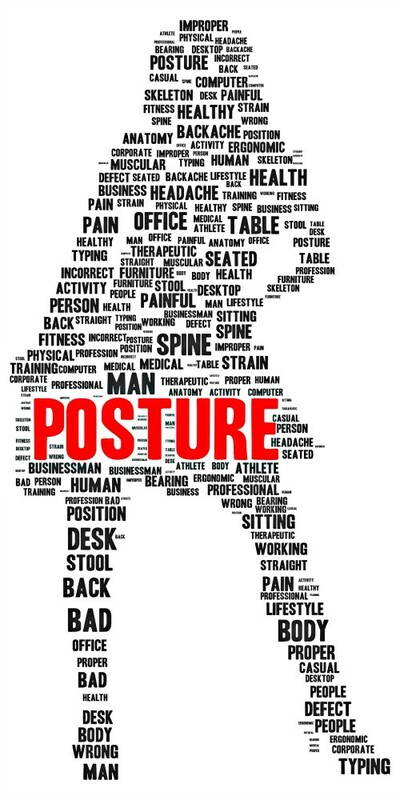 Good posture also has an affect on how others view you. They will see a tall (doesn’t matter how tall you are in inches) confident person. When you stand tall, you’ll also appear leaner. Have someone take a photo of you slouching and one standing tall and see the difference. Over time, a bad posture can result in backaches and pains, not to mention slipped discs. It can also result in poor blood circulation. This would explain why my back hurts and the swelling of my ankles, I experienced a short time back. I know I can’t continue down the road I was on and need to take corrective majors to improve my posture. The Lumo Lift is a small device that you attach to your shirt just under your collarbone and when you slouch it vibrates, giving you a gentle reminder to straighten up. 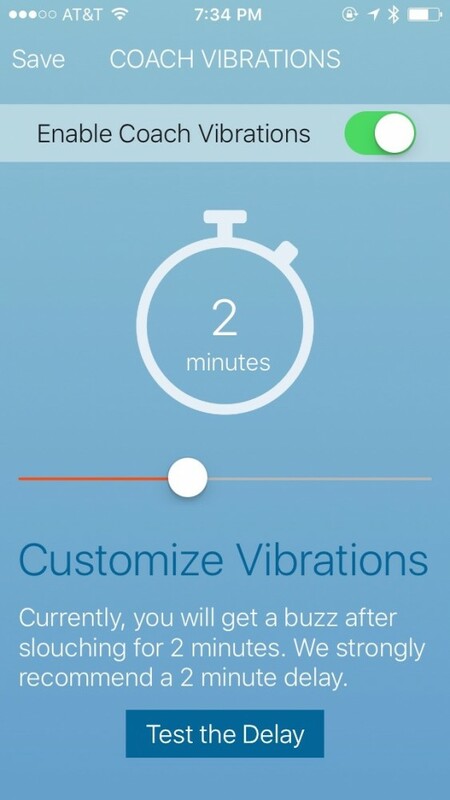 It will vibrate depending upon the delay that you set on the app. They recommend a 2 minute delay, which is what I set mine on. I think anything less than that, would cause it to vibrate a lot, at least for me, and possibly annoy me too much. Yes, I want it to let me know when I need to correct my posture, but at first, I think it’s best to gradually train yourself to sit and stand straight. I discovered that it’s harder to sit straight than you realize, especially after years of not really thinking about how I was sitting. By the way, you can set the delay for as little as 3 seconds to as long as 10 minutes. You also set your posture goals. You can set it for 1 hour up to 12 hours that you will commit to good posture. They recommend 4 hours, which I am able to do now, but I had a tough time just maintaining good posture for 2 hours, so I set mine for that… I am changing it to 4 hours now, though. 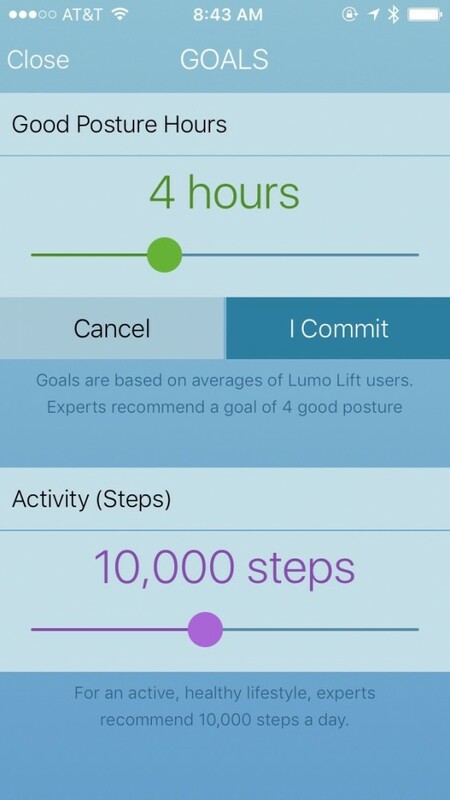 Not only does Lumo Lift support good posture, but it also has a pedometer and calorie burns counter. It will help you get in those 10,000 recommended steps a day. 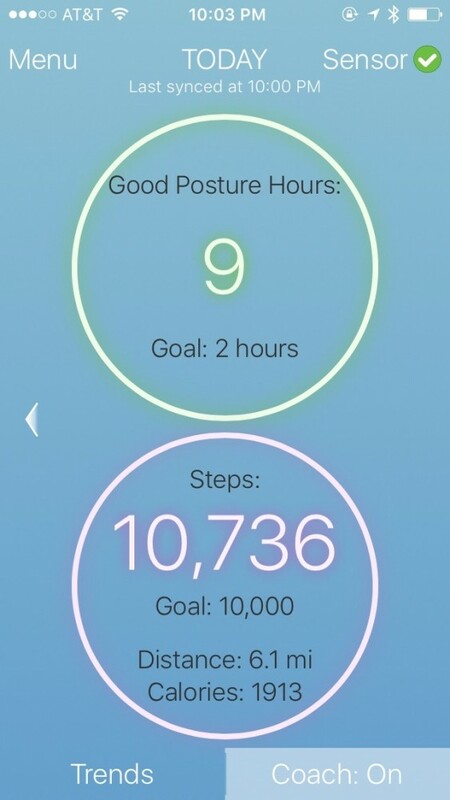 I found it easier to get in my 10K steps than I did consecutive hours of good posture. However, I did get better every day. The above screenshot was one of my best days. I am proud of myself for maintaining good posture for 9 hours. Watch this video to learn more about the Lumo Lift for yourself. If used regularly it can train you to be more aware of the way you sit and stand. Giving you a more healthy, confident, and better looking self. It’s so light and small (it also comes with a bra clip so ladies, no one would have any idea you were wearing it), making it unobtrusive. If you’re competitive, like me, it can encourage you to beat your previous day’s score to get in more good posture hours and more steps. Speaking of steps, it also tracks your steps, distance, and calories burned. This is an added bonus, like a two for one deal. It’s a stylish accessory, so you won’t mind wearing it. Long battery life with up to 5 days on a single charge. Even though I have not washed my clasp in the washer, yet, I am paranoid that I will. Where it is so small and lightweight (which is a good thing), it makes it easy to forget about. I’ve done this with other wearable trackers before, so I know from experience it can happen. This is just a word of warning, at least until you get used to wearing it. Needing to adjust the device too often. You have to align the Lumo Lift to what your good posture is when you are standing or sitting. My posture, even good posture, is slightly different in different chairs or sitting positions I’m in. I found it a bit annoying that it would vibrate often, especially the first few days I wore it, even though my posture was actually okay. Overall, I really like the Lift. The Lumo Lift has made me more aware of my posture and I really can see an improvement already. You can purchase the Lumo Lift Posture Coach and Activity Tracker on Amazon right now for $78.95. It would make a great Christmas gift to yourself. You can order the Lumo Lift online from Walmart and newegg, too. After you purchase the Lumo Lift you can download the free Lumo Lift iOS/Android app to activate your Lumo Lift. If you want to stand and sit taller and help alleviate backaches and pains, I think you’ll be happy with the Lumo Lift Lift. And just for full disclosure, there are affiliate links in this posts. This means that I’m sharing something that I think is helpful, and if you make a purchase through the link, I earn a little bit back.